As promised we are now offering the Digital Emily 2 data that was used during our FMX presentation this year. The data is being hosted at ICT and everything can be downloaded there. 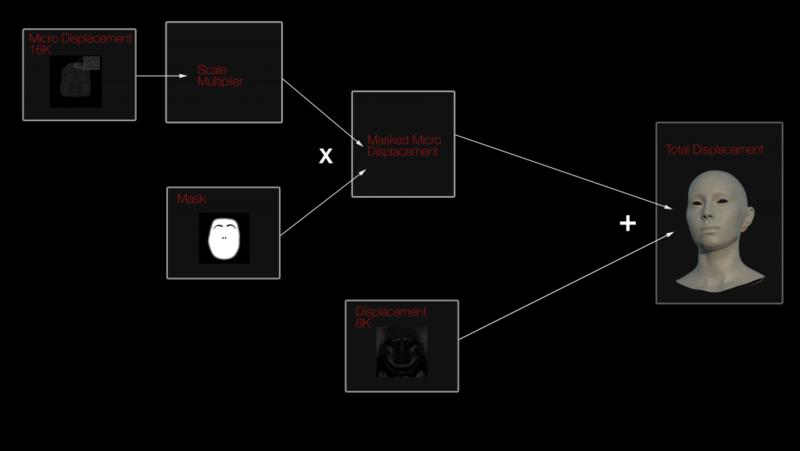 It includes: the model (in Alembic format), the textures (in EXR format), and the shader (in OSL format). We also included a Maya scene with the shaders set up in V-Ray. We broke out the shader into individual nodes so that it is clear how the shader was built so you should be able to reconstruct it in any rendering engine. It should also be noted that we are only providing the head and skin data. 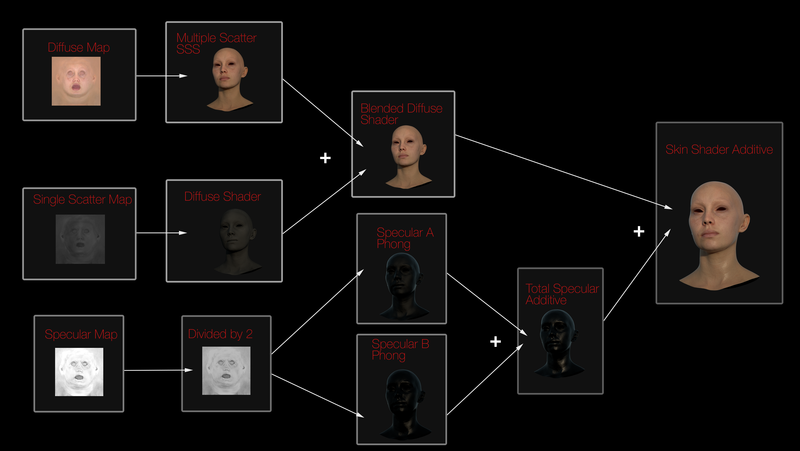 We are not providing the eyes or hair data yet until we feel that we have a first version that is ready to share. It should also be noted that this data is still changing and that we will be updating the data based on new findings as we work. Thank you guys for sharing this precious dataset! Unfortunately the alembic export listed on that page is missing UVs, so for those that don’t use an Autodesk product it’s impossible to map textures correctly. I tried to redo them from scratch but it’s a futile endeavoir, and a long one at that. Thank you for your comment. We are aware of the issue. We are working on an update if Digital Emily 2 that is going to be out soon. Besides having UVs in the Alembic file, there has beeen a request to have OBJs as well. The updated data will include these both of these. Is there a proper HDR or other lighting information for the light stage reference photography provided by ICT? It seems like that would really be needed to properly evaluate the data and shading model considerations in a specific way. Thanks for the suggestion. We can probably provide that as well. 1) the .ma file would not download, getting a “Failed – Forbidden” error. 2) OSL file would not load, getting “// Error: OSL shader error: OSL include path not set” error. I have been plugging it into the VRayMtlOSL in Maya. I am no expert in code so I do not know how I could get this working. I would appreciate some assistance. Thank you for bringing this to our attention. We are looking into it. We will update you when it is fixed.